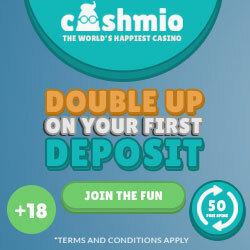 Double your first deposit on Cashmio with 100% up to 100€/£ in welcome bonus + 100 bonus spins. 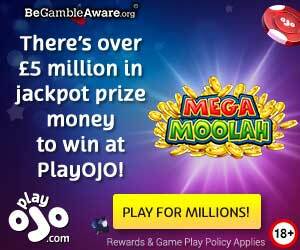 On top of that you as a new player will get 10 no deposit bonus spins on sign up! The 10 bonus spins can be used on the popular game: Aloha: Cluster Pays. Sign up for a new account to claim your 10 no deposit bonus spins. Make a first deposit and enjoy a 100% up to 100€/£ in bonus + 100 bonus spins on Spinions.